This is the fourth article in a series about leading prayer. Have you ever noticed that some priests are really good at presiding over the Mass? When they get everything right, it simply feels good. When done well, the priest “disappears” and he presents himself in persona Christi: acting in the person of Christ, he unites the offerings and prayers of the people to Christ. A good presider is confident, clear, and “leans in” to the natural rhythms of the liturgy. 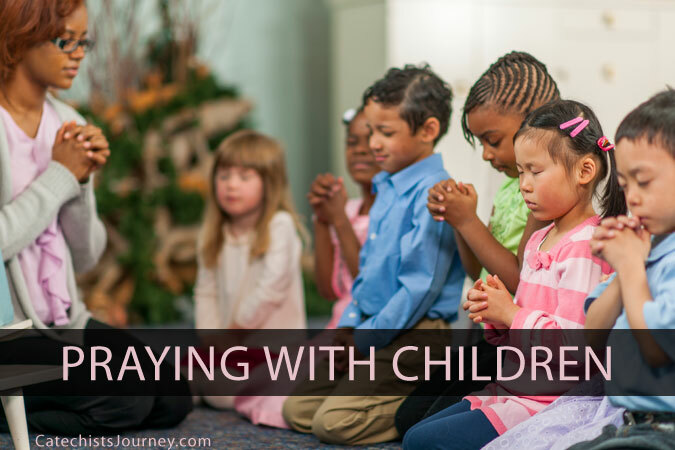 Similar skills are needed when lay people lead the community in prayer, whether it’s a classroom of children or a room of adults. Even if you are leading prayer from a book, simply sitting and reading aloud is insufficient, because prayer is different from everyday speech. Prayer is not a mere learning activity or a standard agenda item; it is speech addressed to God. Here are five essential skills for leading people in prayer. 1. Body Language. Pay attention to your posture and how you carry yourself. Good prayer leaders stand tall, move with dignity, make eye contact with those they are leading, hold any books or other objects with reverence, and never rush anything. Your movements should flow naturally but reverently. 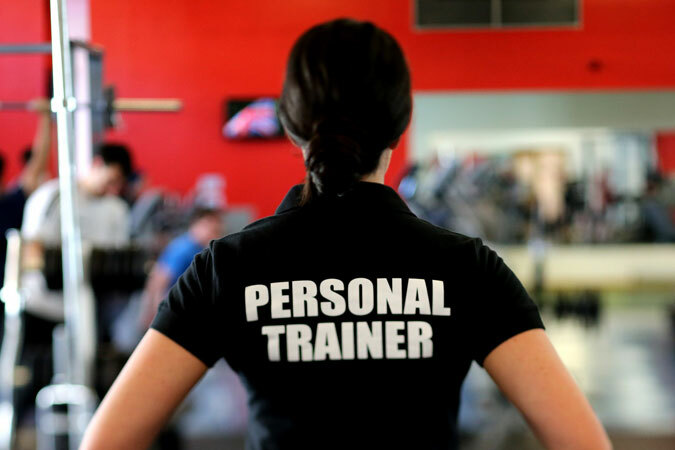 The way you move will cue others to respond appropriately. 2. Expression. Prayer is an exercise in spiritual leadership. Expression in prayer comes from your heart. If the prayer is thanksgiving, be joyfully grateful. If the subject is petition, be earnest. If responding to tragedy, be serious, confident, and faith-filled. When preparing to lead prayer, be conscious of the community’s needs. What do they require at this moment? When leading them in approaching God, whom should I help them to be? Above all, project your love for your community—mean it and they will respond in love. 3. A Sense of Ritual Timing. Good prayer leaders are deliberate. They know the value of silence. Good pacing and knowing what comes next without burying yourself in the text are important. Decide ahead of time when to sit, when to stand, and when to invite others to do so. Never be concerned about the clock. We pray using kairos time. In the New Testament, the word kairos means “the appointed time for the purpose of God.” When we pray, we dare to approach God’s throne in his realm of eternity. 4. Proclamation Skills. 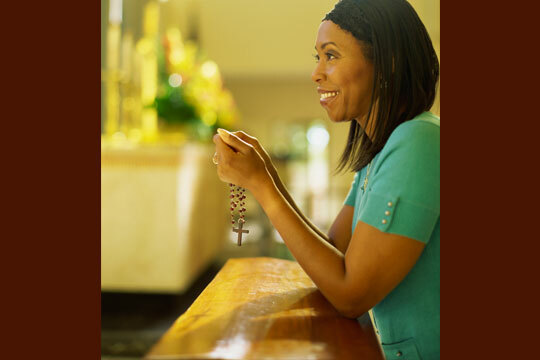 Just like readers at Mass, prayer leaders need good delivery to be understood by all. If you are writing your prayer yourself, use “sense lines.” That is, insert line breaks in a way that helps you understand and proclaim the prayer’s meaning. This allows you to make natural pauses after a sentence or a clause so the prayer may be more easily understood. Both the Lectionary and the Roman Missal use sense lines. Be sure to use proper volume for the room (using a microphone if needed) and clearly enunciate your words. 5. Confidence. Lastly, remember that the Holy Spirit is the one who is truly leading the community in prayer. You do not need to be self-conscious. Trust in the Holy Spirit and relax. Stand, breathe deeply, and put yourself in the presence of the Holy Spirit before you begin. That’s all the help you will really need.